Everyone is familiar with the term “a pain in the neck.” Sometimes this pain springs up in the back instead, sending individuals to the medicine cabinet, doctor, or physical therapist for desperate relief. However, what happens when these types of pains are not simple or temporary? A growing number of patients receive a grim diagnosis every year. UCLA orthopedic spine surgeon and American Academy of Orthopaedic Surgeons spokesman, Nick Shamie, spoke with the Wall Street Journal in an interview of the growing issue of spinal stenosis. This interview revealed statistics that reveal approximately 1.2 million Americans are diagnosed with lumbar stenosis, a disorder affecting the lower back. These statistics do not include cervical stenosis, another serious and prevalent condition affecting the neck. These huge numbers will double to an astounding 2.5 million by 2020. Even with effective treatments options available, spinal stenosis is still a worrisome problem that greatly affects the lives of many. Diagnosis prompts many questions and concerns from patients. The sooner these questions are addressed, the sooner positive health changes and treatments plans can be implemented, providing relief and healing. How many types of spinal stenosis are there? Spinal stenosis is divided into two primary types: Cervical stenosis and lumbar stenosis. Both are serious with unique affects, symptoms, and treatment options. 1.) Cervical stenosis affects the neck region. Abnormal bony growths such as those from arthritis, degenerative disc disease, and bone spurs cause extreme narrowing of the vertebrae of the neck. The spine and nerves are constricted causing pain, numbness, tingling, and “heaviness” in the arms or legs. Some patients report difficulty walking or feeling noticeably dizziness. Another worrisome symptom lies in the loss of bladder or bowel control. 2.) Lumbar stenosis is caused by similar degenerative diseases. This type of stenosis affects the lower back, usually within the range of the L3 to L5 discs. This form of stenosis compresses the nerve roots of the lower back, causing pain, difficulty walking, and weakness. Many patients feel the need to walk hunched over or sit frequently to relieve the pain. Because the pain mimics simpler disorders such as sciatica or basic lower back pain, a true diagnosis can take much longer than necessary. 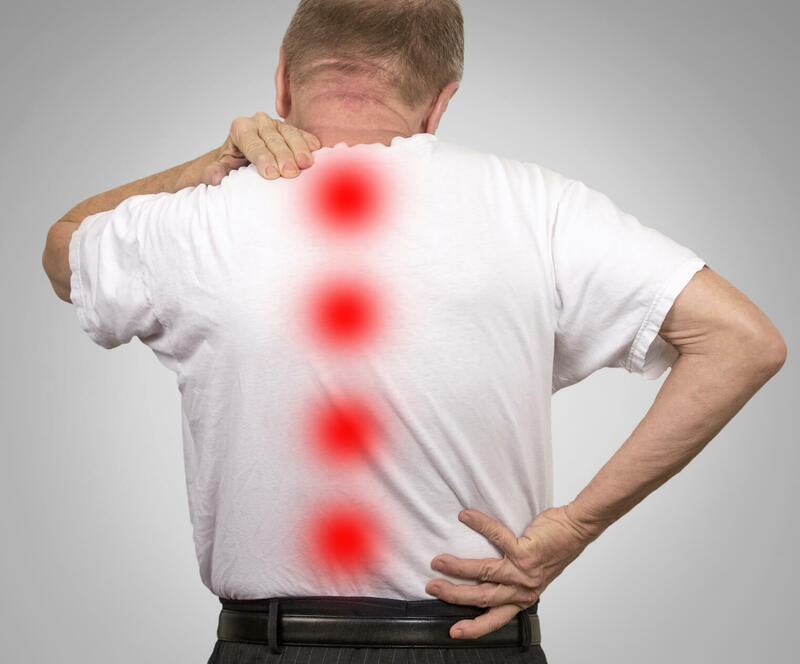 Many patients have found that noninvasive treatment methods such as specialized exercises and anti-inflammatory and muscle relaxant medications are helpful to minimize symptoms, especially pain and weakness. Avoiding strenuous, or triggering activities minimizes pain flare-ups. Physical therapy is also a useful tool. Because spinal stenosis affects the entire body in different ways, using all the tools in your arsenal is best when treating this debilitating disorder. Can I prevent spinal stenosis? Perhaps you are only looking for ways to avoid spinal stenosis. You may not have it, but you are simply looking to stay healthy and safe. Medical studies show that this disease is common primarily in older adults who also suffer from degenerative diseases of the bones and vertebrae. By avoiding these types of conditions you significantly decrease the changes of developing stenosis. Practicing healthy lifestyle changes and habits every day helps ensure you age healthy and strong. Exercise regularly: “If you don’t move it you lose it!” We laugh at sayings like this, but it holds a surprising level of truth. It’s a known medical fact that the bones and muscles of the beck and neck deteriorate far more quickly when the body isn’t kept in shape. Regular aerobic, cardiovascular, and strength-training exercises help keep the bones and joints strong even with aging. Talk with your physical therapist for exercise ideas and healthy ways to start. Use body mechanics: There’s a right and a wrong way to do nearly everything from lifting heavy groceries to sitting at your desk at work. The body has a natural curve and posture that ensures your joints are not over-used. Using good body mechanics, even ones as simple as lifting with your legs, protects your body’s posture and avoids unnecessary strain. Other helpful measures include taking regular breaks to avoid sitting too long and changing your posture to rest your back. Taking a stretch: While body mechanics focuses primarily on your bones and joints, stretching helps keep your muscles relaxed and limber. Stretching regularly keeps your spine and back flexible and strong. Stretching is especially needed if you work a very physical job or sit for long periods of time. If you notice pain in certain areas of the body, arm yourself with stretches that are geared toward that part of the body. Whether avoiding a diagnosis of spinal stenosis or looking for proper treatment, the most important choice you can make is to be proactive. Don’t allow yourself to be a passive patient. By actively seeking preventative measures or necessary medical opinions, you increase your quality of life and overall health significantly by arming yourself with knowledge and confident choices.